Human Scale Patterns: Entry Features | whitespace. Cars have erased “human scale” from our traditional patterns of city building, which means we are no longer designing our cities to be best experienced by people on foot. Prioritizing cars over people has challenged our ability to build valuable places. The root of most issues that planners face is striking a balance between designing places for people and accommodating for cars, from regional systems to site design. This is true for neighborhood design too. “Neighborhood character” is an imprecise concept that planners are often charged with protecting, strengthening, and sometimes creating anew through policies and regulations. We struggle with difficult questions on architectural style quality materials, traditional approaches vs. innovation, and maintaining the status quo vs. the new value of investment. “Neighborhood character” is an imprecise concept – is it the architectural style? Is it the materials used? Is it the history? 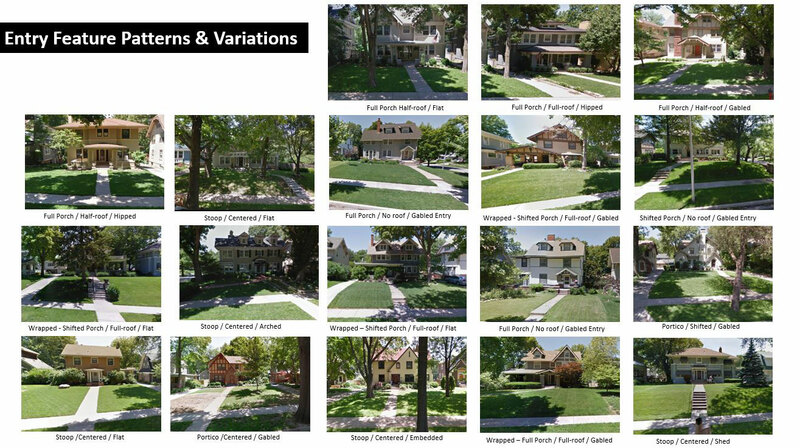 These are all things planners debate when charged with creating and protecting neighborhood character, but we often forget simple, human scale patterns. (Image credit: Google Streetview). 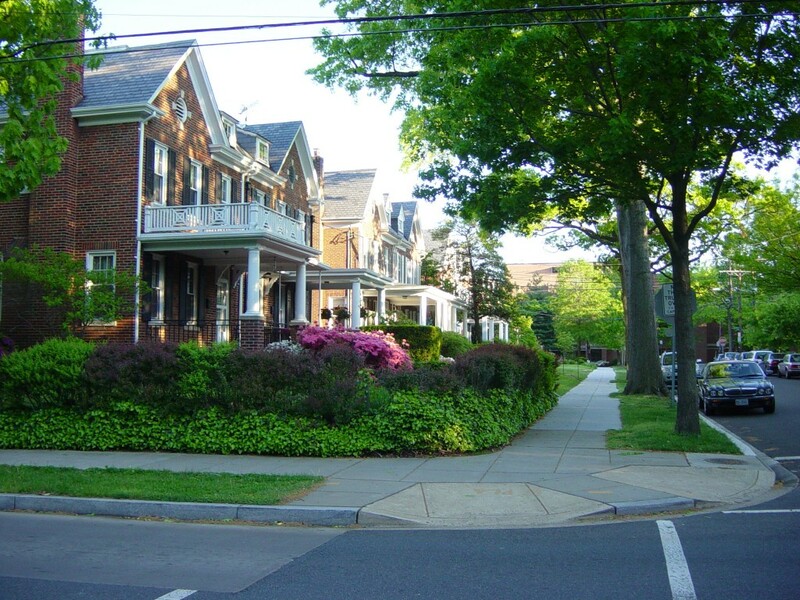 The observations in this series of posts on neighborhood design come mainly from observing patterns in my own neighborhood, which is often cited as a local example of great neighborhood character that should be emulated because of its effect on value. This fact is true, as it has held its value despite more than its fair share of challenges. But what people actually value about my neighborhood’s “character” is often misunderstood or misguided as we try to determine how best to emulate it in different contexts and circumstances. 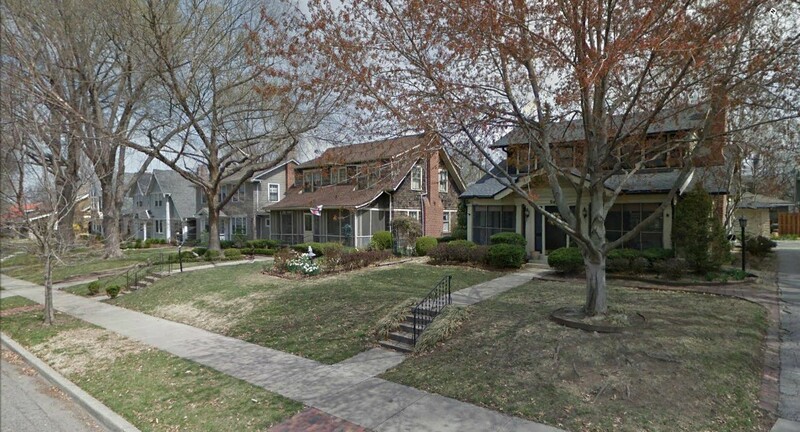 When we focus on designing valuable, walkable neighborhoods, there are three crucial patterns to consider: sreets, lot access and entry features (Image credit: Google Streetview). People often assume my neighborhood’s character comes from the architecture and detailed ornamentation of homes, or the fact that the homes are more modest in scale and mass, or just simply that they are older. But to conclude that the character and value are the result of architecture or construction practices from a different era is to ignore the prominence of the three crucial patterns listed above. These patterns can easily be repeated in a contemporary context that meets the demands of today’s home buyers, accommodates modern construction practices, and facilitates as much design diversity as a community desires. Fortunately, despite the complex and interrelated ideas behind these three goals, some simple rules can be used to implement pattern. Yet the perceived convenience of designing neighborhood streets and homes for the car, at the expense of designing for people, has deprogrammed us from repeating these rules and pattern effectively. 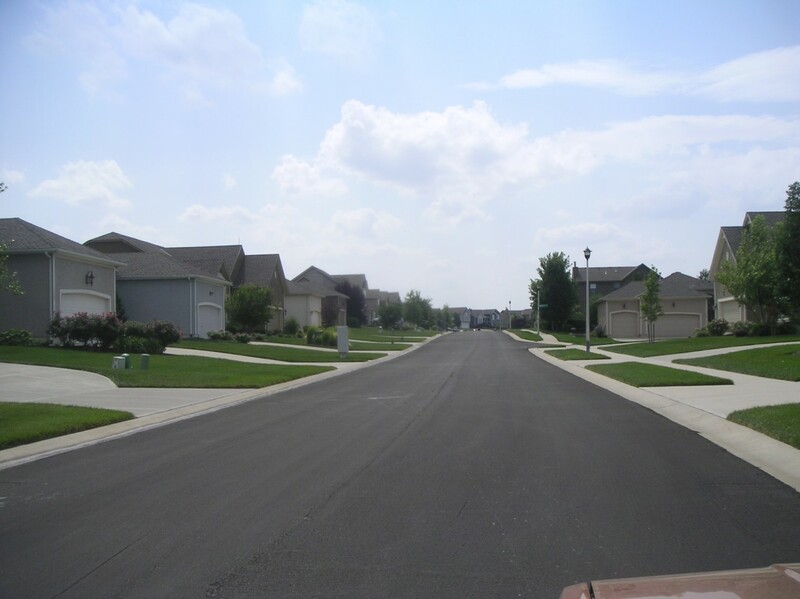 When we design neighborhood streets and homes for the car, rather than people, we stop using these human scale patterns effectively and miss out on opportunities to build value (Image credit: Robert Whitman of Gould Evans). How can we reinstate these patterns while at the same time expanding the range of options available to homeowners to meet their unique preferences? Below are five steps to implement human scale entry features. 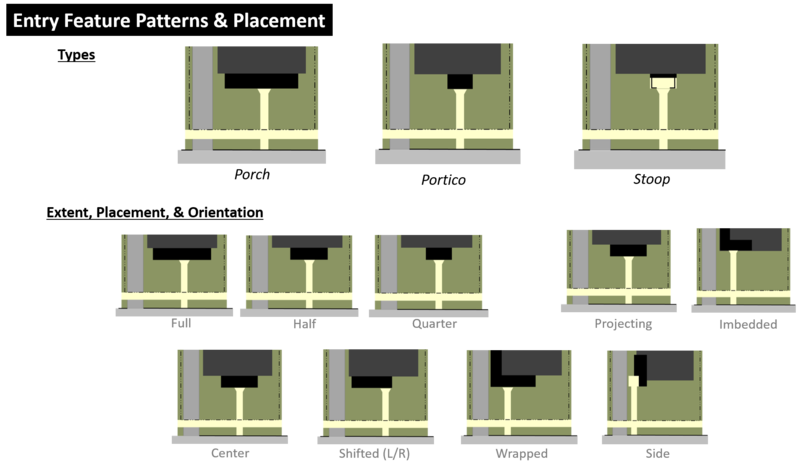 (1A) The image above shows the various types of entry feature patterns and placements (Image credit: Gould Evans). 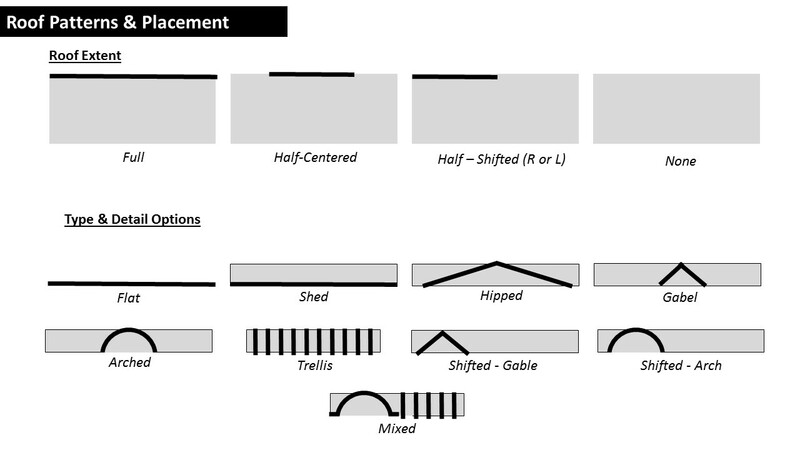 (2A) The image above shows the various types of roof patterns and placements (Image credit: Gould Evans). The potential combinations of these simple rules produces approximately 750 to 1,700 different options. Diversity comes from observing just one human scale pattern, present on every home in my neighborhood, but subtly different every time. This has a dramatic impact on the “character”, and drives value. Beyond these options, there is even more variation, creativity and uniqueness that can be offered through individual choices on materials, color, details and ornamentation – some of the more typical targets of character regulations. And all of this comes without even yet mentioning the endless variety layered on by different architectural styles, or the uniqueness each owner contributes by personalizing their space over time. It also allows buildings of a different scale and type to more easily transition – either by block or by lot – while still maintaining a similar character and relationship to the street. This may be important for neighborhoods that value more diversity of housing options. (3A) The image above shows a glimpse into the wide variety in human scale front entry patterns present within a 2-block area. This creates subtle variations and great diversity, even if applied to the same house (Image credit: Gould Evans). When planners are too quick to require front porches or prohibit front-loaded garages, they are often criticized as being the “nostalgic design police” or being against cars. This is not the case – it is simply emphasizing a critical pattern of great neighborhoods, and then figuring out how to meet modern preferences and evolve this pattern in unique and creative ways. Human scale places are at the root of what people truly value, and human-scale entry features can reinforce neighborhood character, improve the compatibility of different building types and add great diversity and uniqueness to all buildings, all without limiting individual choices.